length: * 5'6" 5'7" 5'9" 5'11" 6'0"
The Vader represents the current pinnacle of Daniel 'Tomo' Thomson's Modern Planing Hull (MPH) Vision. Dan describes the Vader as a Mind Surfing Machine, which reacts instantaneously to desired directional changes with incredible bursts of speed. Controlled, drawn out carves and radical tight angle snaps are achievable with an effortless and intuitive shift in a surfer's weight. In addition, paddle power and generally usability have been increased with a larger volume distribution throughout comparative to the Vanguard, which encourages surfers to ride the Vader even shorter than previously considered functional. 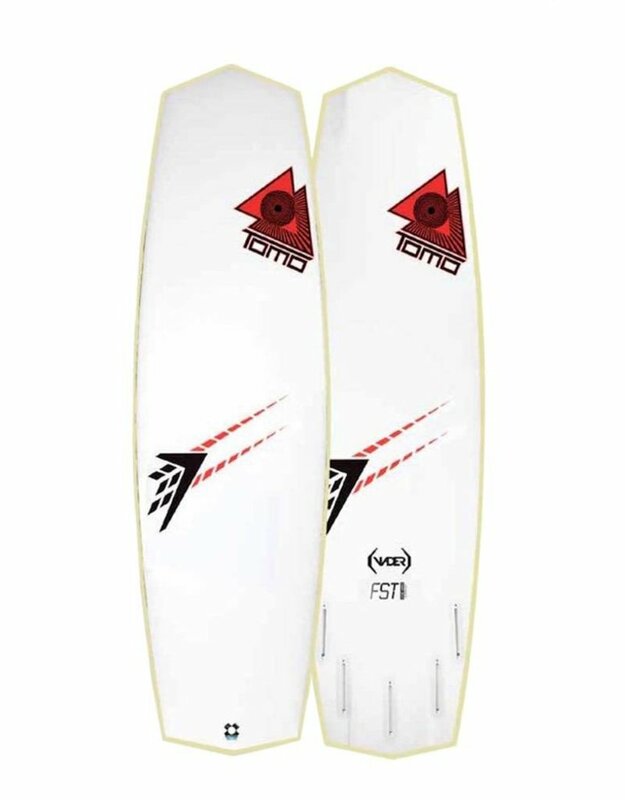 Versatility: the Vader ticks all the boxes and is a stand out performer from waist high to double overhead, offering a natural Quad-fin option which creates significantly increased speed in weaker conditions, or switch to a Tri-Fin for a high-speed surgical attack when the waves demand additional control.